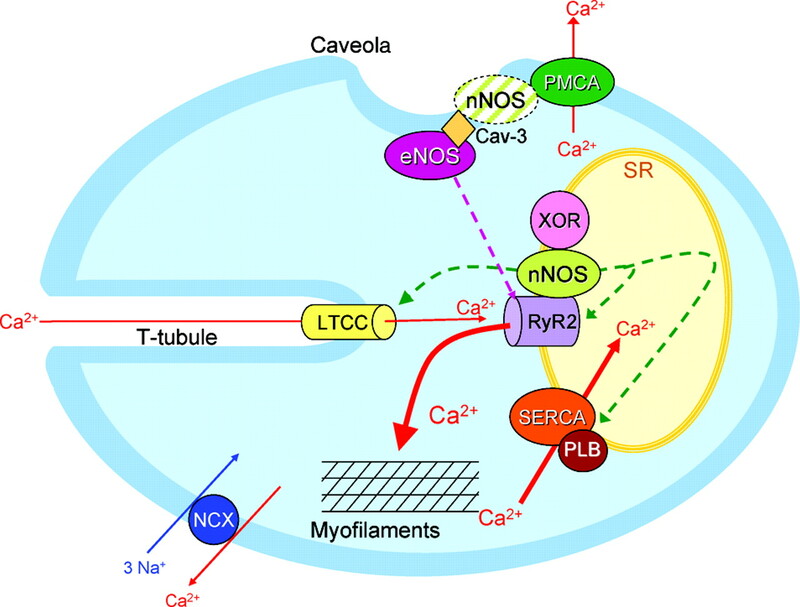 This article, constitute, Part II, it is a broad, but not complete review of the emerging discoveries of the critical role of calcium signaling on cell motility and by extension, embryonic development, cancer metastasis, changes in vascular compliance at the junction between the endothelium and the underlying interstitial layer. The effect of calcium signaling on the heart in arrhtmogenesis and heart failure will be a third in this series, while the binding of calcium to troponin C in the synchronous contraction of the myocardium had been discussed by Dr. Lev-Ari in Part I.
Extracellular signals are sensed by receptors or mechanosensors on cell surface or in cell interior to initiate migration. Actin polymerization is the key event leading to protrusion at the leading edge and new focal adhesions anchor the actin filaments and the cell to the underlying surface. This is followed by contraction of the actin filaments. The contraction of actomyosin filaments pulls the elongate body forward and at the same time the tail retracts. Cytoskeleton and cell-ECM adhesions are two major molecular machineries involved in mechano-chemical signal transduction during cell migration. Although all three types of cytoskeleton (actin microfilaments, microtubules, and intermediate filaments) contribute to cell motility, actin cytoskeleton plays the central role. The polymerization of actin filaments provides the driving force for the protrusion of the leading edge as lamellipodia (sheet-like protrusions) or filopodia (spike-like protrusions), and actomyosin contraction generates the traction force at (focal adhesions) FAs and induces the retraction at the rear. It is generally accepted that actin filaments interact with the double-headed myosin to generate the force for cell motility and that actomyosin contraction/relaxation involves the modulation of myosin light chain (MLC) phosphorylation. Rho family GTPases, including Cdc42, Rac, and Rho, are the key regulators of actin polymerization, actomyosin contraction, and cell motility. Cdc42 activation induces the formation of filopodia; Rac activation induces lamellipodia; and Rho activation increases actin polymerization, stress fiber formation, and actomyosin contractility. All three types of Rho GTPases stimulate new FA formation. Integrins are the major receptors for ECM proteins. The integrin family includes more than 20 transmembrane heterodimers composed of α and β subunits with noncovalent association. The extracellular domain of integrin binds to specific ligands, e.g., ECM proteins such as fibronectin (FN), vitronectin, collagen, and laminin. The cytoplasmic domain interacts with cytoskeletal proteins (e.g., paxillin, talin, vinculin, and actin) and signaling molecules in the focal adhesion (FA) sites. The unique structural features of integrins enable them to mediate outside-in signaling, in which extracellular stimuli induce the intracellular signaling cascade via integrin activation, and inside-out signaling, in which intracellular signals modulate integrin activation and force generation through FAs. Actin filaments are linked to the focal adhesions (Fas) between cell and ECM through a protein complex that includes talin, vinculin, α-actinin, and filamin. Such a complex couples the actomyosin contractile apparatus to FAs, and plays an important role in the force transmission between ECM and the cell. Recent advances in the field of intercellular adhesion highlight the importance of adherens junction association with the underlying actin cytoskeleton. In skin epithelial cells a dynamic feature of adherens junction formation involves filopodia, which physically project into the membrane of adjacent cells, catalyzing the clustering of adherens junction protein complexes at their tips. In turn, actin polymerization is stimulated at the cytoplasmic interface of these complexes. Although the mechanism remains unclear, the VASP/Mena family of proteins seems to be involved in organizing actin polymerization at these sites. In vivo, adherens junction formation appears to rely upon filopodia in processes where epithelial sheets must be physically moved closer to form stable intercellular connections, for example, in ventral closure in embryonic development or wound healing in the postnatal animal. Located at cell–cell borders, adherens junctions are electron dense transmembrane structures that associate with the actin cytoskeleton. In their absence, the formation of other cell–cell adhesion structures is dramatically reduced. The transmembrane core of adherens junctions consists of cadherins, of which E-cadherin is the epithelial prototype. 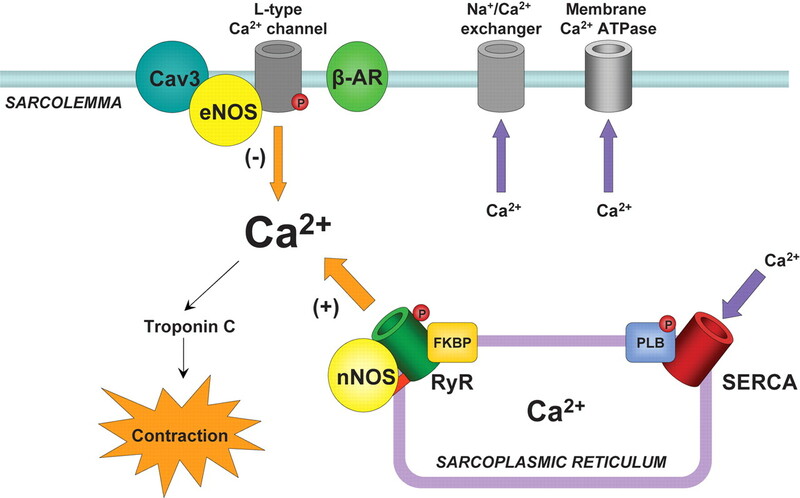 Its extracellular domain is responsible for homotypic, calcium-dependent, adhesive interactions with E-cadherins on the surface of opposing cells. Its cytoplasmic domain is important for associations with other intracellular proteins involved in the clustering of surface cadherins to form a junctional structure. 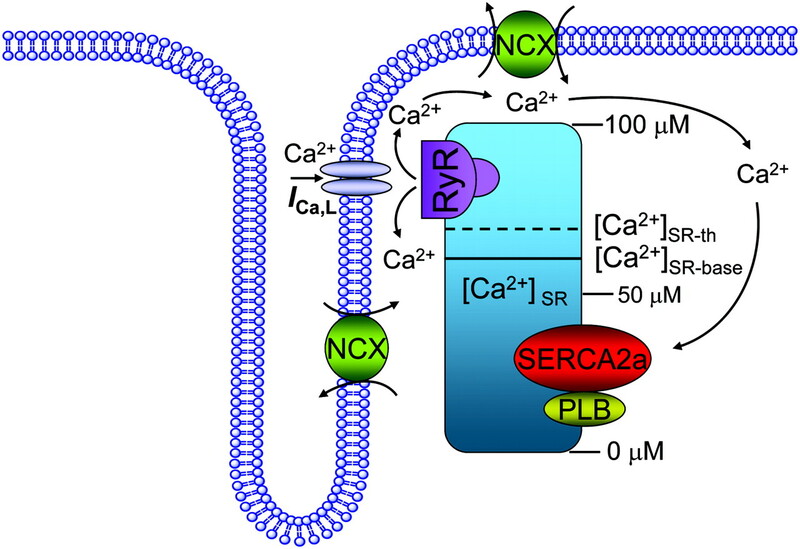 The extracellular domain of the transmembrane E-cadherin dimerizes and interacts in a calcium-dependent manner with similar molecules on neighboring cells. The intracellular juxtamembrane part of E-cadherin binds to p120ctn, an armadillo repeat protein capable of modulating E-cadherin clustering. The distal segment of E-cadherin’s cytoplasmic domain can interact with β-catenin or plakoglobin, armadillo repeat proteins which in turn bind to α-catenin. The carboxyl end of α-catenin binds directly to f-actin, and, through a direct mechanism, α-catenin can link the membrane-bound cadherin–catenin complex to the actin cytoskeleton. Additionally, α-catenin can bind to either vinculin or ZO1, and it is required for junctional localization of zyxin. Vinculin and zyxin can recruit VASP (and related family members), which in turn can associate with the actin cytoskeleton, providing the indirect mechanism to link the actin cytoskeleton to adherens junctions. ZO1 is also a member of tight junctions family, providing a means to link these junctions with adherens junctions. α-catenin was initially discovered as a member of the E-cadherin–catenin complex. It is related to vinculin, an actin-binding protein that is found at integrin-based focal contacts. The amino-terminal domain of α-catenin is involved in α-catenin/plakoglobin binding and is also important for dimerization. Its central segment can bind to α-actinin and to vinculin, and it partially encompasses the region of the protein necessary for cell adhesion (which is the adhesion-modulation domain; amino acids 509–643). The carboxy-terminal domain of both vinculin and α-catenin is involved in filamentous actin (f-actin) binding, and for α-catenin, this domain is also involved in binding to ZO1. VH1, VH2 and VH3 are three regions sharing homology to vinculin. The percentage amino acid identity and the numbers correspond to the amino acid residues of the α-catenin polypeptide. α-catenin is the only catenin that can directly bind to actin filaments , and E-cadherin–catenin complexes do not associate with the actin cytoskeleton after α-catenin is removed by extraction with detergent. Cancer cell lines lacking α-catenin still express E-cadherin and β-catenin, but do not show proper cell–cell adhesion unless the wild-type gene is reintroduced into the cancer cell. This provides strong evidence that clustering of the E-cadherin–catenin complex and cell–cell adhesion requires the presence of α-catenin. Although intercellular adhesion is dependent upon association of the E-cadherin–β-catenin protein complex with α-catenin and the actin cytoskeleton, it is unclear whether α-catenin’s role goes beyond linking the two structures. Fusion of a nonfunctional tailless E-cadherin (E C71) with α-catenin resulted in a chimeric protein able to confer cell–cell adhesion on mouse fibroblasts in vitro, and generation of additional chimeric proteins enabled delineation of the region of α-catenin that is important for cell aggregation. Not surprisingly, the essential domain of α-catenin was its carboxy-terminal domain (~amino acids 510–906), containing the actin-binding site, which encompasses residues 630–906 of this domain. The binding of α-catenin to the actin cytoskeleton is required for cell–cell adhesion, but α-catenin appears to have additional function(s) beyond its ability to link E-cadherin–β-catenin complexes to actin filaments. The domain encompassing residues 509–643 of α-catenin has been referred to as an adhesion-modulation domain to reflect this added, and as yet unidentified, function. Besides its association with β-catenin and f-actin, α-catenin binds to a number of additional proteins, some of which are actin binding proteins themselves. Additionally, the localization of vinculin to cell–cell borders is dependent upon the presence of α-catenin. α-catenin can also bind to the MAGUK (membrane-associated guanylate kinase) family members ZO1 and ZO2. Thus, the role for α-catenin might not simply be to link E-cadherin–catenin complexes to the actin cytoskeleton but rather to organize a multiprotein complex with multiple actin-binding, bundling and polymerization activities. The decisive requirement for α-catenin’s actin-binding domain in adherens junction formation underscores the importance of the actin cytoskeleton in intercellular adhesion. Thus, it is perhaps not surprising that the majority of f-actin in epithelial cells localizes to cell–cell junctions. When epidermal cells are incubated in vitro in culture media with calcium concentrations below 0.08 mM they are unable to form adherens junctions. However, when the calcium concentrations are raised to the levels naturally occurring in skin (1.5–1.8 mM), intercellular adhesion is initiated. 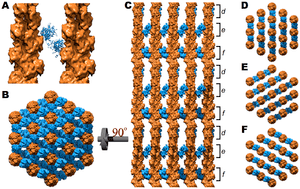 passive adhesion, a process which may not require actin if the membranes are already closely juxtaposed and stabilized by the deposition of cadherin–catenin complexes. Upon a switch from low to high calcium, cadherin-mediated intercellular adhesion is activated. Passive adhesion: in cells whose actin cytoskeleton has been largely disrupted by cytochalasin D, cadherin–catenin complexes occur at sites where membranes of neighboring cells directly contact each other. Active adhesion: neighboring cells with functional actin cytoskeletons can draw their membranes together, forming a continuous epithelial sheet. Upon initial membrane contact, E-cadherin forms punctate aggregates or puncta along regions where opposing membranes are in contact with one another. Each of these puncta is contacted by a bundle of actin filaments that branch off from the cortical belt of actin filaments underlying the cell membrane. At later stages in the process, those segments of the circumferential actin cables that reside along the zone of cell–cell contacts disappear, and the resulting semi-circles of cortical actin align to form a seemingly single circumferential cable around the perimeter of the two cells. At the edges of the zone of cell–cell contact, plaques of E-cadherin–catenin complexes connect the cortical belt of actin to the line of adhesion. At the center of the developing zone of adhesion, E-cadherin puncta associate with small bundles of actin filaments oriented perpendicular to the zone. Multiple E-cadherin-containing puncta that form along the developing contact rapidly associate with small bundles of actin filaments. As the contact between cells lengthens, puncta continue to develop at a constant average density, with new puncta at the edges of the contact. The segment of the circumferential actin cable that underlies the developing contact gradually ‘dissolves’, and merges into a large cable, encompassing both cells. This is made possible through cable-mediated connections to the E-cadherin plaques at the edges of the contact. As contact propagates, E-cadherin is deposited along the junction as a continuous line. The actin cytoskeleton reorganizes and is now oriented along the cell–cell contact. In primary keratinocytes, two neighboring cells send out filopodia, which, upon contact, slide along each other and project into the opposing cell’s membrane. Filopodia are rich in f-actin. Embedded tips of filopodia are stabilized by puncta, which are transmembrane clusters of adherens junction proteins. This process draws regions of the two cell surfaces together, which are then clamped by desmosomes. Radial actin fibers reorganize at filopodia tips in a zyxin-, vinculin-, VASP-, and Mena-dependent fashion. Actin polymerization is initiated at stabilized puncta, creating the directed reverse force needed to push and merge puncta into a single line as new puncta form at the edges. The actin-based movement physically brings remaining regions of opposing membranes together and seals them into epithelial sheets. As filopodia contain actin rather than keratin intermediate filaments, they become natural zones of adherens junctions, whereas the cell surface flanking filopodia becomes fertile ground for desmosome formation, alternating adherens junctions and desmosomes. Possible Roles of Myosin in Cell–cell Adhesion. [a] A hypothetical ‘purse string’ model for myosin-driven epithelial sheet closure at a large circular wound site in the cornea of an adult mouse. At the edge of wound site epithelial cables of actin appear to extend from cell to cell, forming a ring around the wound circumference. Contraction of actin cables driven by myosin can lead to wound closure. [b] Inside out ‘purse string’ model for contact propagation (compaction) in MDCK cells. During contact formation in MDCK cells, circumferential actin cables contact cadherin–catenin plaques at the edges of the contact. 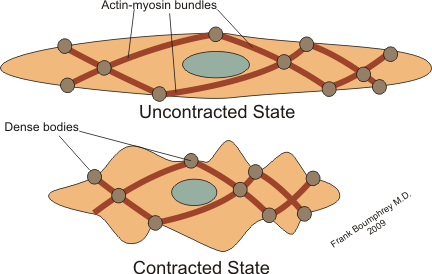 Contraction of actin cables driven by myosin can lead to the contact expansion. What Regulates the Actin Dynamics that are Important for Cell–cell Adhesion? The answer to this remains uncertain, but the small GTPases of the Rho family seem to be likely candidates, given that Rho, Rac1 and Cdc42 promote stress fiber, lamellipodia and filopodia formation, respectively. In vivo mutagenesis studies in Drosophila reveal a role for Rac1 and Rho in dorsal closure and/or in head involution, processes that involve complex and well orchestrated rearrangements of cells. In contrast, Cdc42 appears to be involved in regulating polarized cell shape changes. In vitro, keratinocytes microinjected with dominant negative Rac1 or with C3 toxin, a specific inhibitor of Rho, are unable to form cadherin-based cell–cell contacts. Similarly, overexpression of a constitutively active form of Rac1 or Cdc42 in MDCK cells increases junctional localization of E-cadherin–catenin complexes, whereas the dominant negative forms of Rac1 and Cdc42, or C3 microinjection, have the opposite effect. The finding that Tiam1, a guanine nucleotide exchange factor for Rac1, increases E-cadherin mediated cell–cell adhesion, inhibits hepatocyte growth-factor-induced cell scattering and reverses the loss of adhesion in Ras-transformed cells is consistent with the above. Together, these findings provide compelling evidence that activation of the Rho family of small GTPases plays a key role in the actin dynamics that are necessary for adherens junction formation. We found that E-cadherin–catenin-enriched puncta, which assemble during the first stages of epithelial sheet formation, are sites of de novo actin polymerization. This led us to postulate that actin polymerization might provide the force that is subsequently necessary to merge the double role of puncta into a single row and ultimately into an epithelial sheet. Knowledge of how actin polymerization might generate movement comes largely from studies of the mechanism by which the pathogen Listeria monocytogenes pirates actin polymerization and utilizes it for intracellular propulsion. For this endeavor, these bacteria recruit two types of cellular components, the VASP family of proteins and the Arp2/3 complex. The Arp2/3 protein complex is required for de novo nucleation of actin filament polymerization, whereas VASP appears to accelerate bacterial movement by about 10 fold. Although most studies have revealed positive roles for VASP and its cousins in actin reorganization/ polymerization, recent experiments have shown that in certain instances these proteins act negatively in directing cell movement. A further complication is the finding that VASP family proteins can be phosphorylated, thereby inhibiting their actin nucleation and f-actin binding ability. A role for VASP may be in the actin polymerization necessary for filopodia extensions. In this regard, VASP family proteins localize to the tips of filopodia during neural growth and in calcium-stimulated keratinocytes. VASP family proteins in this process might provide directionality to the process of actin polymerization, reshaping f-actin into parallel bundles to produce and extend filopodia-like structures from branched lamellipodial networks. Although actin polymerization seems to be important in generating the cellular movement necessary for intercellular adhesion, this does not rule out the possibility that the myosin family of actin motor proteins may also play a role. It is known, for instance, that cells can use myosin–actin contractile forces to alter cell shape, and myosin II is a ubiquitously expressed protein involved in such diverse processes as cell spreading, cytokinesis, cell migration, generation of tension within actin stress fiber networks and retrograde flow of actin filaments at the leading edge of moving cells. Interestingly, mouse corneal cells at a wound edge assemble cables of actin filaments anchored to E-cadherin–catenin complexes. The cells surrounding the wound site display myosin-II-associated actin filaments that are aligned in a structure resembling a purse string. It has been postulated that closure of the wound may be achieved through myosin-directed contraction of the actin filaments, in a mechanism similar to that of pulling on a purse string. Overall, through guilt by association, myosins have been implicated in cell–cell adhesion and in adherens junction formation and although the models proposed are attractive, direct experimental evidence is still lacking. BDM (2,3-butanedione monoxime), a general inhibitor of myosin function, had no obvious effect on intercellular junction formation in our keratinocyte adhesion assays (V Vasioukhin, E Fuchs, unpublished data). However, the role of myosins clearly deserves a more detailed investigation, and this awaits the development of new and improved inhibitors and activators of myosin action. 1. Imamura Y, Itoh M, Maeno Y, Tsukita S, Nagafuchi A: Functional domains of α-catenin required for the strong state of cadherin based cell adhesion. J Cell Biol 1999, 144:1311-1322. 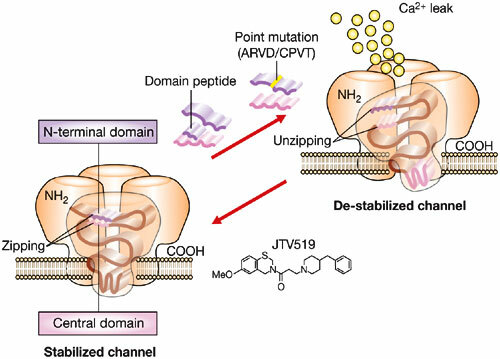 Three distinct functional domains for α-catenin were identified: a vinculin binding domain, a ZO-1-binding domain and an adhesion modulation domain. Both ZO1-binding (also actin binding) and adhesion modulation domains are necessary for strong adhesion. 2. Vasioukhin V, Bauer C, Yin M, Fuchs E: Directed actin polymerization is the driving force for epithelial cell–cell adhesion. Cell 2000, 100:209-219. A dynamic filopodia-driven process of cell–cell adhesion is described in primary mouse keratinocyte cultures. Newly forming adherens junctions were identified as sites of actin polymerization and/or reorganization, involving VASP/Mena family members. 3. Raich WB, Agbunag C, Hardin J: Rapid epithelial-sheet sealing in the Caenorhabditis elegans embryo requires cadherin-dependent filopodial priming. Curr Biol 1999, 9:1139-1146. An elegant in vivo analysis of filopodia-based cell–cell junction formation during epithelial-sheet closure in embryonic development of C. elegans. 4. Loisel TP, Boujemaa R, Pantaloni D, Carlier MF: Reconstitution of actin-based motility of Listeria and Shigella using pure proteins. Nature 1999, 401:613-616. Using an in vitro reconstitution approach, the authors show that Arp2/3, actin, cofilin and capping proteins are required for motility of Listeria, in contrast VASP seems to act by increasing the speed of movement by about 10 fold. Phospholipase C-~/(PLC~/) is required for EGF-induced motility (Chen, P., H. Xie, M.C. Sekar, K.B. Gupta, and A. Wells. J. Cell Biol. 1994. 127:847-857); however, the molecular basis of how PLC~/modulates the actin filament network underlying cell motility remains undetermined. One connection to the actin cytoskeleton may be direct hydrolysis of PIP 2 with subsequent mobilization of membrane-associated actin modifying proteins. We used signaling restricted EGFR mutants expressed in receptor-devoid NR6 fibroblast cells to investigate whether EGFR activation of PLC causes gelsolin mobilization from the cell membrane in vivo and whether this translocation facilitates cell movement. Gelsolin anti-sense oligonucleotide (20 p,M) treatment of NR6 ceils expressing the motogenic full-length (WT) and truncated c’ 1000 EGFR decreased endogenous gelsolin by 30–60%; this resulted in preferential reduction of EGF (25 nM)-induced cell movement by >50% with little effect on the basal motility. As 14 h of EGF stimulation of cells did not increase total cell gelsolin content, we determined whether EGF induced redistribution of gelsolin from the membrane fraction. EGF treatment decreased the gelsolin mass associated with the membrane fraction in motogenic WT and c’1000 EGFR NR6 cells but not in cells expressing the fully mitogenic, but nonmotogenic c’973 EGFR. Blocking PLC activity with the pharmacologic agent U73122 (1 ~M) diminished both this mobilization of gelsolin and EGF-induced motility, suggesting that gelsolin mobilization is downstream of PLC. Concomitantly observed was reorganization of submembranous actin filaments correlating directly with PLC activation and gelsolin mobilization. In vivo expression of a peptide that is reported to compete in vitro with gelsolin in binding to PIP2 dramatically increased basal cell motility in NR6 cells expressing either motogenic (WT and c’1000) or nonmotogenic (c’973) EGFR; EGF did not further augment cell motility and gelsolin mobilization. Cells expressing this peptide demonstrated actin reorganization similar to that observed in EGF-treated control cells; the peptide-induced changes were unaffected by U73122. These data suggest that much of the EGF induced motility and cytoskeletal alterations can be reproduced by displacement of select actin-modifying proteins from a PIP2-bound state. This provides a signaling mechanism for translating cell surface receptor mediated biochemical reactions to the cell movement machinery. Neuronal migration is a complex process requiring the coordinated interaction of cytoskeletal components and regulated by calcium signaling among other factors. Migratory neurons are polarized cells in which the largest intracellular organelle, the nucleus, has to move repeatedly. Current views support a central role for pulling forces that drive nuclear movement. By analyzing interneurons migrating in cortical slices of mouse brains, we have found that nucleokinesis is associated with a precise pattern of actin dynamics characterized by the initial formation of a cup-like actin structure at the rear nuclear pole. Time-lapse experiments show that progressive actomyosin contraction drives the nucleus forward. Nucleokinesis concludes with the complete contraction of the cup-like structure, resulting in an actin spot at the base of the retracting trailing process. Our results demonstrate that this actin remodeling requires a threshold calcium level provided by low-frequency spontaneous fast intracellular calcium transients. Microtubule stabilization with taxol treatment prevents actin remodeling and nucleokinesis, whereas cells with a collapsed microtubule cytoskeleton induced by nocodazole treatment, display nearly normal actin dynamics and nucleokinesis. In summary, the results presented here demonstrate that actomyosin forces acting at the rear side of the nucleus drives nucleokinesis in tangentially migrating interneurons in a process that requires calcium and a dynamic cytoskeleton of microtubules. H Blaser, M Reichman-Fried, I Castanon, K Dumstrei, F L Marlow, et al. The molecular and cellular mechanisms governing cell motility and directed migration in response to the chemokine SDF-1 are largely unknown. Here, we demonstrate that zebrafish primordial germ cells whose migration is guided by SDF-1 generate bleb-like protrusions that are powered by cytoplasmic flow. Protrusions are formed at sites of higher levels of free calcium where activation of myosin contraction occurs. Separation of the acto-myosin cortex from the plasma membrane at these sites is followed by a flow of cytoplasm into the forming bleb. We propose that polarized activation of the receptor CXCR4 leads to a rise in free calcium that in turn activates myosin contraction in the part of the cell responding to higher levels of the ligand SDF-1. The biased formation of new protrusions in a particular region of the cell in response to SDF-1 defines the leading edge and the direction of cell migration. Muscle and nonmuscle isoactins are segregated into distinct cytoplasmic domains, but the mechanism regulating subcellular sorting is unknown (Herman, 1993a). To reveal whether isoform-specific actin-binding proteins function to coordinate these events, cell extracts derived from motile (Era) versus stationary (Es) cytoplasm were selectively and sequentially fractionated over filamentous isoactin affinity columns prior to elution with a KC1 step gradient. A polypeptide of interest, which binds specifically to/3-actin filament columns, but not to muscle actin columns has been conclusively identified as the ERM family member, ezrin. We studied ezrin-/3 interactions in vitro by passing extracts (Era) over isoactin affinity matrices in the presence of Ca2+-containing versus Ca2+-free buffers, with or without cytochalasin D. Ezrin binds and can be released from/3-actin Sepharose-4B in the presence of Mg2+/EGTA and 100 mM NaC1 (at 4°C and room temperature), but not when affinity fractionation of Em is carried out in the presence of 0.2 mM CaC12 or 2/~M cytochalasin D. N-acetyl-(leucyl)2-norleucinal and E64, two specific inhibitors of the calcium-activated protease, calpain I, protect ezrin binding to β-actin in the presence of calcium. 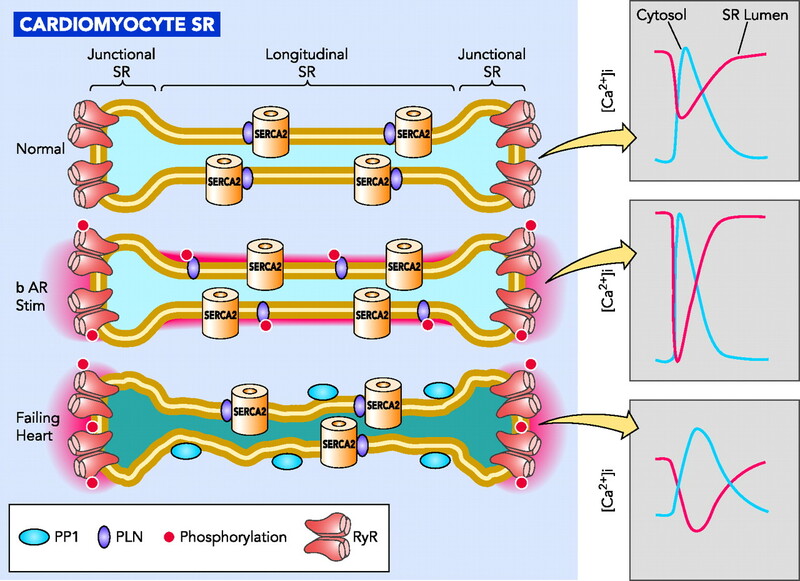 Biochemical analysis of endothelial lysates reveals that a calpain I cleavage product of ezrin emerges when cell locomotion is stimulated in response to monolayer injury. Immunofluorescence analysis shows that anti-ezrin and anti-β-actin IgGs can be simultaneously co-localized, extending the results of isoactin affinity fractionation of Em-derived extracts and suggesting that ezrin and β-actin interact in vivo. To test the hypothesis that ezrin binds directly to β-actin, we performed three sets of studies under a wide range of physiological conditions (pH 7.0-8.5) using purified pericyte ezrin and either α- or β-actin. Results of these experiments reveal that purified ezrin does not directly bind to β-actin filaments. We mapped cellular free calcium in endothelial monolayers crawling in response to injury. Confocal imaging of fluo-3 fluorescence followed by simultaneous double antibody staining reveals a transient rise of free calcium within ezrin-/3-actin-enriched domains in the majority of motile cells bordering the wound edge. These results support the notion that calcium and calpain I modulate ezrin and β-actin interactions during forward protrusion formation. Intracellular Ca2+ regulates a variety of neuronal functions, including neurotransmitter release, protein phosphorylation, gene expression and synaptic plasticity. In a variety of cell types, including neurons, Ca2+ is involved in actin reorganization, resulting in either actin polymerization or depolymerization. Very little, however, is known about the relationship between Ca2+ and the actin cytoskeleton organization in retinal neurons. We studied the effect of high-K+-induced depolarization on F-actin organization in salamander retina and found that Ca2+ influx through voltage-gated L-type channels causes F-actin disruption, as assessed by 53±5% (n=23, P <0.001) reduction in the intensity of staining with Alexa-Fluor488-phalloidin, a compound that permits visualization and quantification of polymerized actin. Calcium-induced F-actin depolymerization was attenuated in the presence of protein kinase C antagonists, chelerythrine or bis-indolylmaleimide hydrochloride (GF 109203X). In addition, phorbol 12-myristate 13-acetate (PMA), but not 4α-PMA, mimicked the effect of Ca2+ influx on F-actin. Activation of ionotropic AMPA and NMDA glutamate receptors also caused a reduction in F-actin. No effect on F-actin was exerted by caffeine or thapsigargin, agents that stimulate Ca2+ release from internal stores. In whole-cell recording from a slice preparation, light-evoked ‘off’ but not ‘on’ EPSCs in ‘on–off’ ganglion cells were reduced by 60±8% (n=8, P <0.01) by cytochalasin D. These data suggest that elevation of intracellular Ca2+ during excitatory synaptic activity initiates a cascade for activity-dependent actin remodelling, which in turn may serve as a feedback mechanism to attenuate excite-toxic Ca2+ accumulation induced by synaptic depolarization. C3H/10T1/2 mouse embryo fibroblasts were stimulated by a steady electric field ranging up to 10 V/cm. Some cells elongated and aligned perpendicular to the field direction. 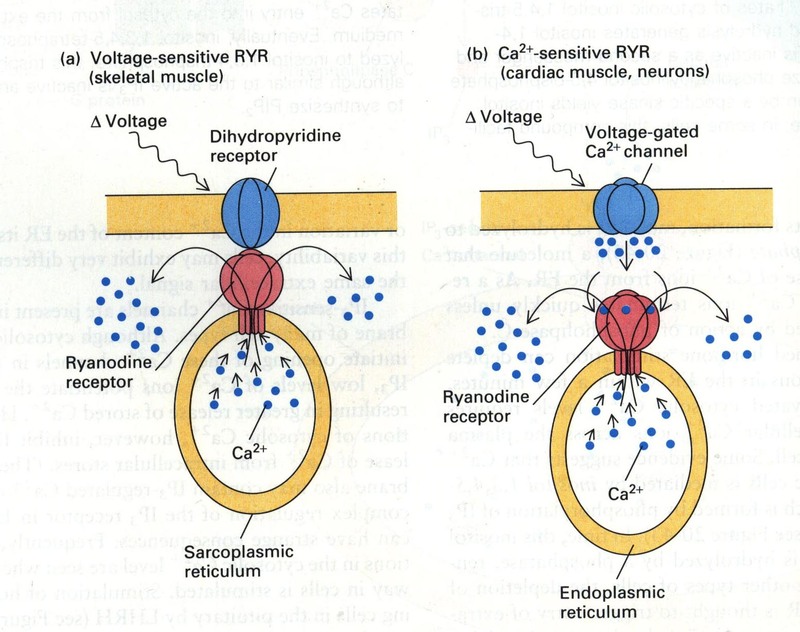 A preferential positional shift toward the cathode was observed which was inhibited by the calcium channel blocker D-600 and the calmodulin antagonist trifluoperazine. Rhodaminephalloidin labeling of actin filaments revealed a field induced disorganization of the stress fiber pattern, which was reduced when stimulation was conducted in calcium-depleted buffer or in buffer containing calcium antagonist CoC12, calcium channel blocker D-600, or calmodulin antagonist trifluoperazine. Treatment with calcium ionophore A23187 had similar effects, except that the presence of D-600 did not reduce the stress fiber disruption. The calcium-sensitive photoprotein aequorin was used to monitor changes in intracellular-free calcium. Electric stimulation caused an increase of calcium to the micromolar range. This increase was inhibited by calcium-depleted buffer or by CoC12, and was reduced by D-600. A calcium-dependent mechanism is proposed to explain the observed field-directed cell shape changes, preferential orientation, and displacement. N Ozkucur, TK Monsees, S Perike, H Quynh Do, RHW Funk. Carl Gustav Carus, TU-Dresden, Dresden, Germany; University of the Western Cape, SAfrica. Investigation of the mechanisms of guided cell migration can contribute to our understanding of many crucial biological processes, such as development and regeneration. Endogenous and exogenous direct current electric fields (dcEF) are known to induce directional cell migration, however the initial cellular responses to electrical stimulation are poorly understood. Ion fluxes, besides regulating intracellular homeostasis, have been implicated in many biological events, including regeneration. Therefore understanding intracellular ion kinetics during EF-directed cell migration can provide useful information for development and regeneration. We analyzed the initial events during migration of two osteogenic cell types, rat calvarial and human SaOS-2 cells, exposed to strong (10–15 V/cm) and weak (#5 V/cm) dcEFs. Cell elongation and perpendicular orientation to the EF vector occurred in a time- and voltage-dependent manner. Calvarial osteoblasts migrated to the cathode as they formed new filopodia or lamellipodia and reorganized their cytoskeleton on the cathodal side. SaOS-2 cells showed similar responses except towards the anode. Strong dcEFs triggered a rapid increase in intracellular calcium levels, whereas a steady state level of intracellular calcium was observed in weaker fields. Interestingly, we found that dcEF induced intracellular calcium elevation was initiated with a local rise on opposite sides in calvarial and SaOS-2 cells, which may explain their preferred directionality. 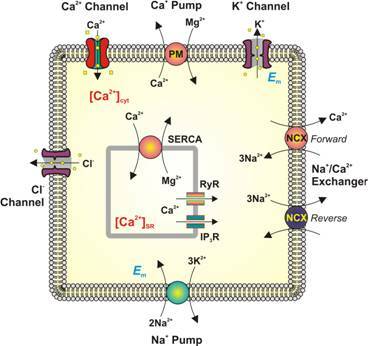 In calcium-free conditions, dcEFs induced neither intracellular calcium elevation nor directed migration, indicating an important role for calcium ions. Blocking studies using cadmium chloride revealed that voltage-gated calcium channels (VGCCs) are involved in dcEF-induced intracellular calcium elevation. Taken together, these data form a time scale of the morphological and physiological rearrangements underlying EF-guided migration of osteoblast-like cell types and reveal a requirement for calcium in these reactions. We show for the first time here that dcEFs trigger different patterns of intracellular calcium elevation and positional shifting in osteogenic cell types that migrate in opposite directions. T Shimizua, G Owsianik, M Freichelb, V Flockerzi, et al. We demonstrate here that the transient receptor potential melastatin subfamily channel, TRPM4, controls migration of bone marrow-derived mast cells (BMMCs), triggered by dinitrophenylated human serum albumin (DNP-HSA) or stem cell factor (SCF). Wild-type BMMCs migrate after stimulation with DNPHSA or SCF whereas both stimuli do not induce migration in BMMCs derived from TRPM4 knockout mice (trpm4−/−). Mast cell migration is a Ca2+-dependent process, and TRPM4 likely controls this process by setting the intracellular Ca2+ level upon cell stimulation. Cell migration depends on filamentous actin (F-actin) rearrangement, since pretreatment with cytochalasin B, an inhibitor of F-actin formation, prevented both DNP-HSA- and SCF-induced migration in wild-type BMMC. Immunocytochemical experiments using fluorescence-conjugated phalloidin demonstrate a reduced level of F-actin formation in DNP-HSA-stimulated BMMCs from trpm4−/− mice. Thus, our results suggest that TRPM4 is critically involved in migration of BMMCs by regulation of Ca2+-dependent actin cytoskeleton rearrangements. G FAURY, Y USSON, M ROBERT-NICOUD, L ROBERT, AND J VERDETTI. PNAS: Cell Biology 1998; 95: pp. 2967–2972. The extracellular matrix protein ‘‘elastin’’ is the major component of elastic fibers present in the arterial wall. Physiological degradation of elastic fibers, enhanced in vascular pathologies, leads to the presence of circulating elastin peptides (EP). EP have been demonstrated to influence cell migration and proliferation. EP also induce, at circulating pathophysiological concentrations (and not below), an endothelium-and NO- dependent vasorelaxation mediated by the 67-kDa subunit of the elastin-laminin receptor. Here, by using the techniques of patch-clamp, spectrofluorimetry and confocal microscopy, we demonstrate that circulating concentrations of EP activate low specificity calcium channels on human umbilical venous endothelial cells, resulting in increase in cytoplasmic and nuclear free calcium concentrations. This action is independent of phosphoinositide metabolism. Furthermore, these effects are inhibited by lactose, an antagonist of the elastin-laminin receptor, and by cytochalasin D, an actin microfilament depolymerizer. These observations suggest that EP-induced signal transduction is mediated by the elastin-laminin receptor via coupling of cytoskeletal actin microfilaments to membrane channels and to the nucleus. Because vascular remodeling and carcinogenesis are accompanied by extracellular matrix modifications involving elastin, the processes here described could play a role in the elastin-laminin receptor-mediated cellular migration, differentiation, proliferation, as in atherogenesis, and metastasis formation. fission (abscission) of the newly formed daughter cells. The ingression of the cleavage furrow is dependent on the constriction of an equatorial actomyosin ring in many cell types. Recent studies have demonstrated that this structure is highly dynamic and undergoes active polymerization and depolymerization throughout the furrowing process. Despite much progress in the identification of contractile ring components, little is known regarding the mechanism of its assembly and structural rearrangements. PIP2 (phosphatidylinositol 4,5-bisphosphate) is a critical regulator of actin dynamics and plays an essential role in cell motility and adhesion. Recent studies have indicated that an elevation of PIP2 at the cleavage furrow is a critical event for furrow stability. We discuss the role of PIP2-mediated signaling in the structural maintenance of the contractile ring and furrow progression. In addition, we address the role of other phosphoinositides, PI(4)P (phosphatidylinositol-4-phosphate) and PIP3 (phosphatidylinositol 3,4,5-triphosphate) in these processes. This polymerization signal is counteracted by the generation of IP3 (inositol 1,4,5-triphosphate) and DAG (diacylglycerol), following PLC (phospholipase C)-mediated hydrolysis of PIP2. IP3-mediated activation of Ca2+/CaM (calmodulin) promotes the activation of severing proteins such as gelsolins and cofilin, which lead to solubilization of the actin network (Figure 1). In addition to influencing actin polymerization, PIP2 modulates the function of several actin cross-linking and regulatory proteins which are critical for the assembly of stress fibres, gel meshworks and membrane attachment. For example, PIP2 negatively regulates cross-linking mediated by filamin and the actin-bundling activity of α-actinin. In contrast, PIP2 induces conformational changes in vinculin, talin and ERM (ezrin/radixin/moesin) family proteins to promote anchoring of the actin cytoskeleton to the plasma membrane. PLC-mediated hydrolysis of PIP2 and the downstream activation of Ca2+/CaM and PKC (protein kinase C) also influences actin-myosin based contractility. Ca2+/CaM activates MLCK (myosin regulatory light chain kinase), leading to phosphorylation of the MLC (myosin regulatory light chain). Similarly, PKC has been shown to phosphorylate and activate MLC (Figure 1). Prior to cell division cells undergo a global cell rounding which is a prerequisite step for the initiation of the cleavage furrow. In frog, sea urchin and newt eggs these shape changes correlate with an increase in cortical tension that precedes or occurs near the onset of the cleavage furrow. Precise mapping of the changes in cortical tension have shown that peaks of tension are propagated in waves that occur in front of and at the same time as furrow initiation. These tension waves are generated by actomyosin-based contractility and subside after the furrow has passed. Experiments in Xenopus eggs, zebrafish and Xenopus embryos indicated that site-specific Ca2+ waves were generated within the cleavage furrow that would be predicted to coincide with peaks of cortical tension. The injection of heparin, a competitive inhibitor of IP3 receptors, or Ca2+ chelators were both demonstrated to significantly delay or arrest furrowing , and a similar inhibitory effect was observed of microinjected PIP2 antibodies that caused a depletion of the intracellular pool of DAG and Ca2+ in Xenopus blastomeres. In addition, the increase in cortical contractility of Xenopus oocytes has been shown to occur via a PKC-dependent pathway. Together, these studies demonstrate a role for PIP2-mediated signaling at the early stages of cytokinesis. Recent studies have supported that PIP2-mediated signaling also plays a critical role in ingression of the cleavage furrow, although significant differences have been shown in the localization of PIP2 and the role of PLC. Lithium and the PLC inhibitor, U73122, caused a rapid (within minutes) regression of cleavage furrows in crane fly spermatocytes, but did not block their initial formation. PIP2 may become concentrated within the cleavage furrow and could facilitate anchoring of the plasma membrane to structural components of the actomyosin ring. A PIPKI homologue, its3, and PIP2 were reported at the septum of dividing fission yeast, Schizosaccharomyces pombe. A temperature sensitive mutant of its3 exhibited disrupted actin patches, following a shift to the restrictive temperature, and also impaired cytokinesis. Although a contractile ring was still evident in these cells, abnormalities, such as an extra ring, were found. Two recent studies demonstrated an increase in PIP2-specific GFP-labeled PH domains within the cleavage furrow of mammalian cells. Both of these reports suggested de novo synthesis of PIP2 occurs within the furrow. Another study found that endogenous and over-expressed PIPKIβ, but not PIPKIγ, concentrated in the cleavage furrow of CHO (Chinese hamster ovary) cells. The expression of a kinase-dead mutant of this isoform and microinjection of PIP2-specific antibodies both caused a significant increase in the number of multinucleated cells. A multinucleated phenotype was, similarly, observed in multiple cell lines (CHO, HeLa, NIH 3T3 and 293T) transfected with high levels of PIP2-specific PH domains, synaptojanin [which dephosphorylates PIP2 to PI(4)P], or a kinase-dead mutant of PIPKIα. In addition, a small percentage of CHO and HeLa cells expressing high levels of PIP2-specific PH domains or synaptojanin showed signs of F-actin dissociation from the plasma membrane. CHO cells transfected with PIP2 PH domains, but not PH domains specific for PI(3,4)P2 (phosphatidylinositol 3,4-bisphosphate) and PIP3, also exhibited impaired furrow expansion induced by the application of hypotonic buffer. This suggests one of the primary roles of PIP2 is to promote cytoskeleton–membrane anchoring at the furrow. Role of PI3Ks (phosphoinositide 3-kinases) and PI4Ks (phosphoinositide 4-kinases) in cytokinesis PI4Ks generate the PIPKI substrate, PI(4)P, and play a critical role in PIP2 generation. Studies in lower organisms support the requirement of PI4Ks for cytokinesis. In Saccharomyces cerevisiae two PI4Ks, STT4 and PIK1, have non-overlapping functions in Golgi-tomembrane trafficking and cell-wall integrity respectively. Both genes are also required for cell division. Conditional mutants of Pik1p exhibited a cytokinesis defect: cells arrest with large buds and fully divided nuclei. In addition, STT4 was identified as a gene implicated in reorientation of the mitotic spindle prior to cytokinesis. Spermatocytes derived from fwd mutant males had unstable furrows that failed to ingress and abnormal contractile rings with dissociated myosin II and F-actin, fwd has homology with yeast PIK1 and human PI4KIIIβ. Although PIK1 is an essential gene in yeast, the deletion of fwd was not lethal and female flies were fertile. A study in fission yeast suggests that PI4Ks may be recruited to the furrow, as reported for PIPKs. Desautels et al. (2001) identified a PI4K as a binding partner of Cdc4p, a contractile ring protein with homology to the myosin essential light chain. A Cdc4p mutant, G107S, abolished the interaction with PI4K and induced the formation of multinucleated cells with defects in septum formation. This finding suggests that, at least for fission yeast, anchoring of PI4K to the contractile ring may concentrate PI(4)P substrate within the furrow for subsequent PIP2 generation. An increased synthesis of PIP2 by PIPKIs at the cleavage furrow is anticipated to promote both actin polymerization and structural support to the contractile ring. Structural proteins of the contractile ring regulated by PIP2 include anillin, septin and ERM proteins. The concentration of PIP2 at the cleavage furrow is postulated to be a critical molecule in the recruitment of these proteins and their integration with the actomyosin ring. Anillin exhibits actin-bundling activity and is required at the terminal stages of cytokinesis in Drosophila and human cells. The depletion of anillin in Drosophila and human cells causes cytokinesis failure, which is correlated with uncoordinated actomyosin contraction of the medial ring. Anillin also functions as a cofactor to promote the recruitment of septins to actin bundles. Mutations within the PH domain of anillin were recently demonstrated to impair septin localization to both the furrow canal and the contractile ring in Drosophila cells, blocking cellularization and furrow progression. Septins have also been shown to bind to phosphoinositides and this interaction regulates their subcellular localization. The mammalian septin, H5, bound PIP2 and PIP3 liposomes at its N-terminal basic region, which is conserved in most septin proteins. The over-expression of synaptojanin and treatment with neomycin (which depletes cellular PIP2) both caused disruption of actin stress fibres and dissociation of H5 from filamentous structures in Swiss 3T3 cells. Septins are co-localized with actin at the cleavage furrow and form ring structures that are postulated to structurally support the contractile ring. Studies suggest that PLC-mediated hydrolysis of PIP2 and the subsequent release of intracellular Ca2+ stores is a necessary event for furrow stability and ingression. A role for Ca2+ is similarly supported by previous findings that Ca2+ waves were localized to the cleavage furrow in frog embryos, eggs and fish. PLC second messengers have also been implicated in cytokinesis. For example, CaM was localized to mitotic spindles of HeLa cells and the inhibition of its activity was reported to cause cytokinesis defects. A recent RNAi (RNA interference) screen also identified PI4Ks and PIPKs, but not PLC genes, as critical proteins for cytokinesis in Drosophila. This may indicate PLC is required for completion of furrowing, rather than its initiation. It is hypothesized that PLC activity may promote actin filament severing through the activation of Ca2+-dependent actin-severing proteins, such as gelsolin and cofilin. Depending on the localization of PLC, this could either drive disassembly of actin filaments of the medial ring or the cortical actin network. Furthermore, the activation of PKC and CaM would activate actomyosin contraction via the phosphorylation of MLCK. At the furrow, PKC and CaM could act in concert with the Rho effectors ROCK and Citron kinase, which also phosphorylate and activate MLC. The activation of CaM and/or PKC may also provide positive feedback for the recruitment of PIP2 effectors and regulate GTPase-mediated actin polymerization. 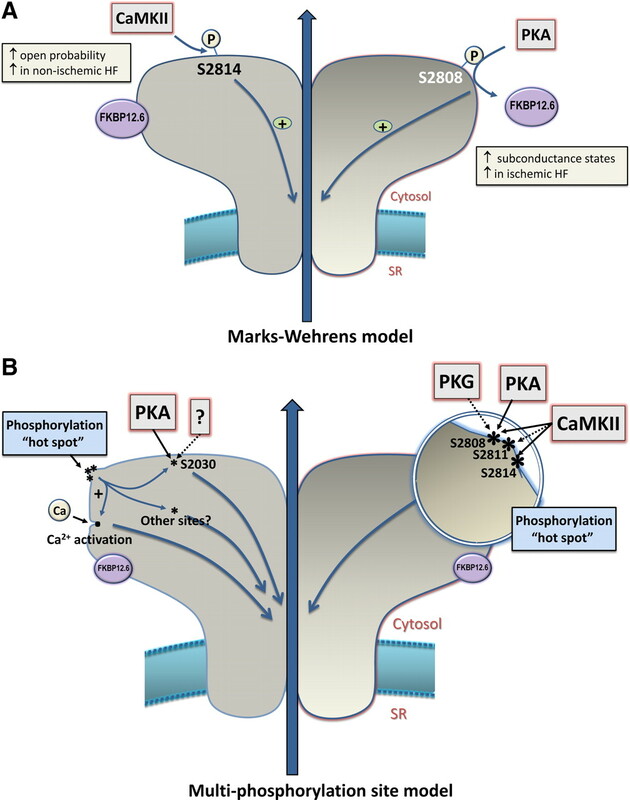 Both PKC and CaM have been shown to promote the dissociation of MARCKS (myristoylated alanine-rich C kinase substrates) family proteins from PIP2. MARCKS are postulated to play a major regulatory role in phosphoinositide signalling by sequestering PIP2 at the membrane. Thus the activation of PKC and CaM promotes PIP2 availability for the recruitment of PH-domain-containing effector proteins. Studies in yeast and mammalian cells have supported that CaM and PKC can mediate positive feedback for PIP2 synthesis by activating PIPKs. On the basis of the present available data, PIP2 has been shown to be a critical molecule for structural integrity of the contractile ring and furrow stability. However, the observation that furrows are initiated in cells treated with agents that either sequester PIP2 or prevent its hydrolysis suggests PIP2 does not provide the originating signal for furrow formation. Recent studies suggest that the recruitment and activation of RhoA may provide this early signal. Ect2, is recruited to the cleavage furrow via its interaction withMgcRacGAP at the central spindle. Ect2 and MgcRacGAP regulate the activities of Rho GTPases (RhoA, Cdc42 and Rac) and are functionally implicated in the assembly of the contractile ring. Active RhoA and Cdc42 are increased at the furrow, whereas Rac is suppressed (grey). Furrow-recruited GTPases (RhoA, ARF6 and Cdc42) are predicted to activate PIPKI, leading to the generation of PIP2. PI3K activity is suppressed at the furrow (grey), which may be due to MgcRacGAP-mediated inhibition of Rac and/or the activity of the PIP3 phosphatase, PTEN. Cycles of PIP2 synthesis and hydrolysis by PLC are thought to play a critical role in re-structuring the contractile ring throughout the duration of furrowing. PIP2-mediated activation of anillin, septins and ERM proteins promotes cross-linking and membrane anchoring of the contractile ring. PLC-mediated activation of PKC and CaM can facilitate the contraction of the actomyosin ring, similar to RhoA effectors, ROCK and Citron kinase. CaM may also regulate IQGAP–Cdc42 interactions, and thereby modulate actin organization. It is hypothesized that Cdc42-mediated actin polymerization via effectors, such as N-WASp (neuronalWiskott–Aldrich syndrome protein) and Arp2/3 (actin-related protein 2/3), may reduce membrane tension outside the inner region of RhoA-mediated contractility.